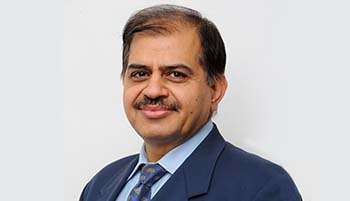 Mr. Chandel is currently the President and CHRO, Tata Motors, India’s largest automotive company. He moved to Tata Motors in 2014, from another Tata Group Company, Tata AutoComp Systems where he was the Group CHRO from 2005 to 2014. At Tata Motors, as part of the Executive Committee, he is actively driving turnaround with the responsibility of various strategic growth initiatives of the company. He has also pioneered various HR practices, which are seen as trendsetters and industry benchmarks. As part of the company’s transformation strategy, emanating from the company’s short-, mid- and long-term strategy, he piloted massive restructuring, reorganisation & rejuvenation exercise. This includes compression of hierarchy to flat structure, job levelling and banding, management assessment and structured placement exercise, performance planning and review, career and succession planning, among others. All driven towards making the organisation agile and a lean fighting machine to meet the company’s goal of being amongst the top 3 players in commercial vehicles worldwide and the top 3 passenger car businesses in India. Prior to joining Tata Group, he worked with Siemens in India, Germany and USA for almost 13 years where he held various assignments, incl. Regional HR Manager (North), Divisional HR Manager for the newly formed Telecom Div., Corporate Head for Industrial Relations, Corporate Head of Leadership and HR Development & Head of Siemens ONE shared services project. From 2000 to 2003, he led the leadership project at the global headquarters of Siemens in Munich and subsequently at Siemens USA on a business integration project from 2003-2004. He was honoured with the Leader of the Year award in 1997 by LMI Inc. USA. Mr. Chandel loves photography, hiking & reading.